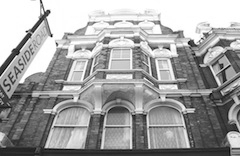 ﻿ Bestcourt Properties Lettings | Property Management, Lettings, Tenants, Professional Services, Maintenance, Services, Advice, Eastbourne, East Sussex. 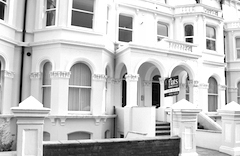 We manage a wide range of properties to let, from single rooms through to detached homes, mainly located within and around Eastbourne Town Centre. 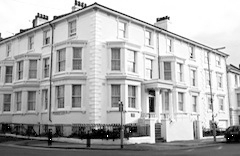 Much of our managed accommodation is home to long residing tenants and families. 1, 2 and 3 Bedroom Flats & Maisonettes. Terrace, Semi and Detached Homes. Our maintenance staff are available 24 hours a day, 7 days a week (call out charges may apply) for repairs and servicing should you have any problems with your accommodation. Our managed properties are well maintained and issues are dealt with quickly to help avoid inconvenience to tenants. We, also, offer cleaning services should tenants require at very competitive rates. We offer accommodation under 6 month Assured Shorthold Tenancies (AST), though longer terms are often available subject to status. In certain circumstances, we can offer accommodation under Licence agreements where the Tenants are unable to enter into a minimum contract term of 6 months, subject to application. We can provide accommodation either furnished or unfurnished. However, we understand that some tenants may have some of their own furniture so we can partly-furnish accommodation to suit, subject to availability. Large double room (for single occupancy) in shared accommodation, fitted kitchen & bathroom, GCH. Available furnished or unfurnished. Recently converted self-contained flat, 1 double bedroom, large lounge, fitted kitchen, bathroom & GCH. Available furnished or unfurnished. Newly refurbished spacious self-contained flat, 2 bedrooms, lounge, fitted kitchen, bathroom & GCH. Available furnished or unfurnished.